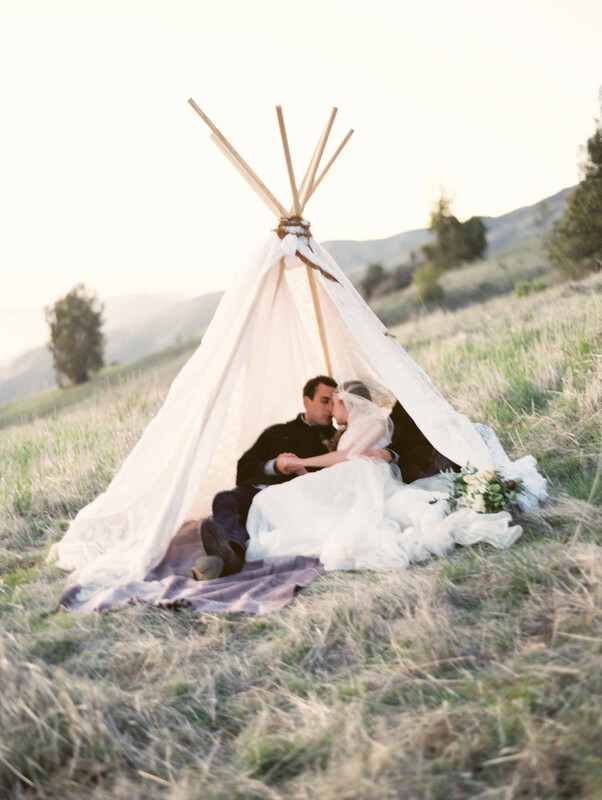 Off white and creams, lace and chiffon fabrics draped tipi. Set up and breakdown for you included in the price. 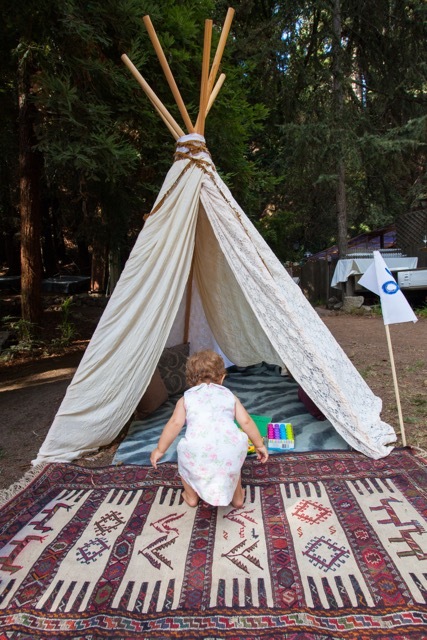 Our clients love to use this tipi for a photo prop or intimate space to retreat into after the ceremony for a little private alone time or a perfect kid's fort where you can put kids games, coloring books, etc. 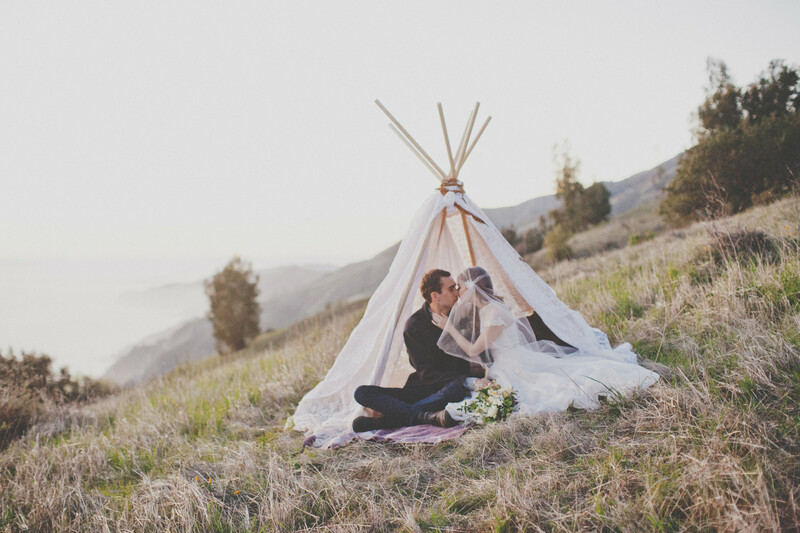 to entertain them during your wedding. Decorate the interior with our pillows and blankets.